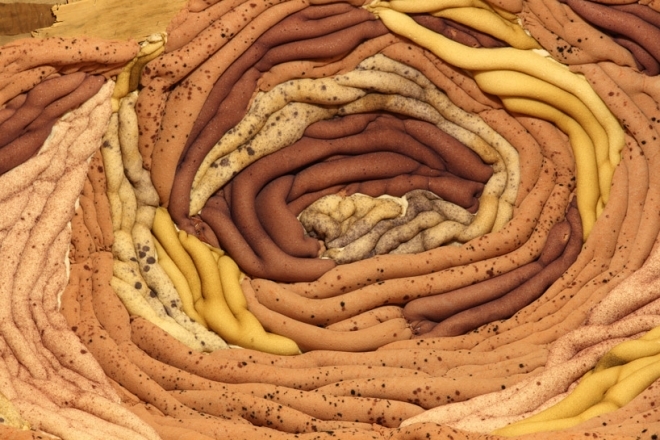 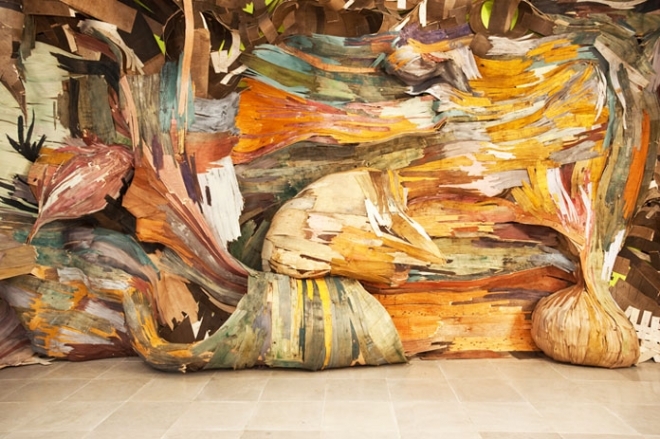 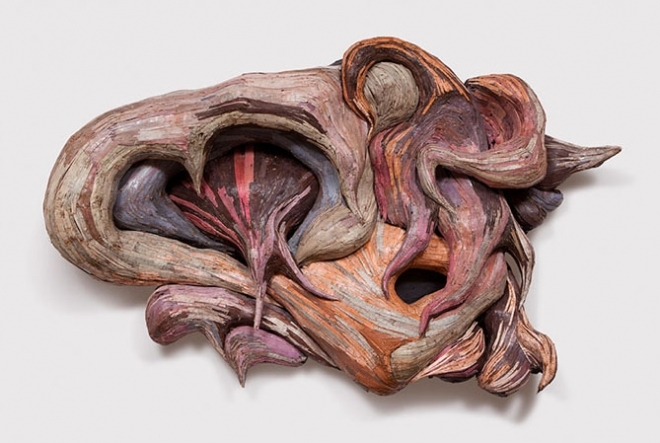 Sculpture by Henrique Oliveira: Henrique Oliveira is known for his unique form of sculptures. 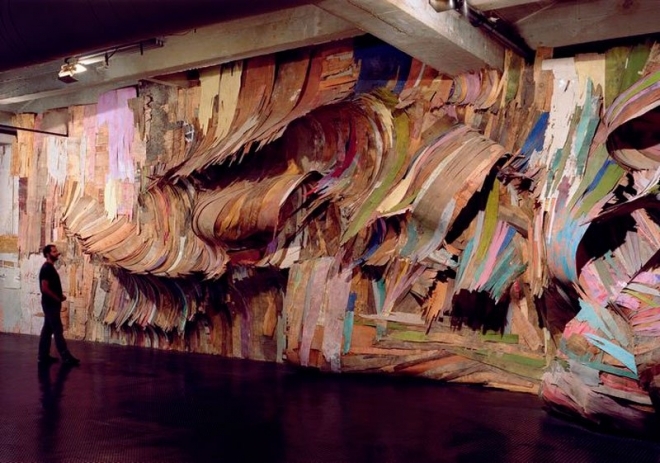 He uses plywood,fencing and PVC as his art medium. 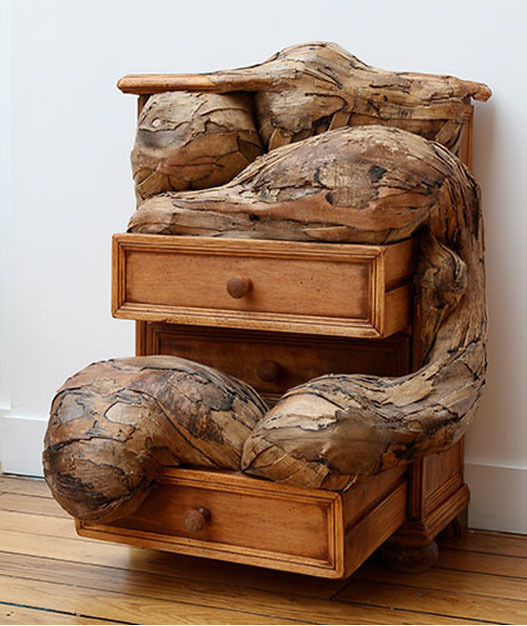 He collects these plywoods and other scrap items from dumpsters and landfills and creates these strange looking sculptures. 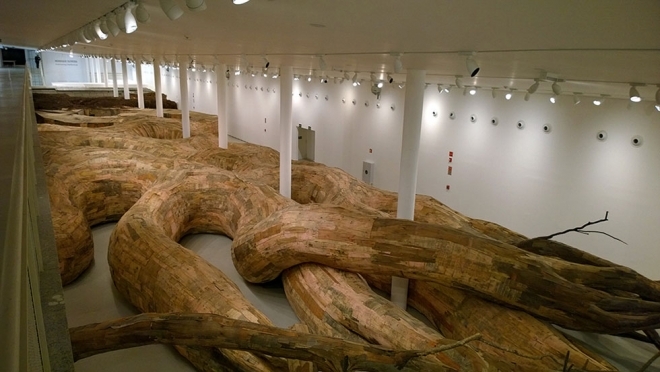 After his graduation from social media at Escola Superior de Propaganda e- Marketing, in 1997, Henrique Oliveira returned back to his home city of Ourinhos. 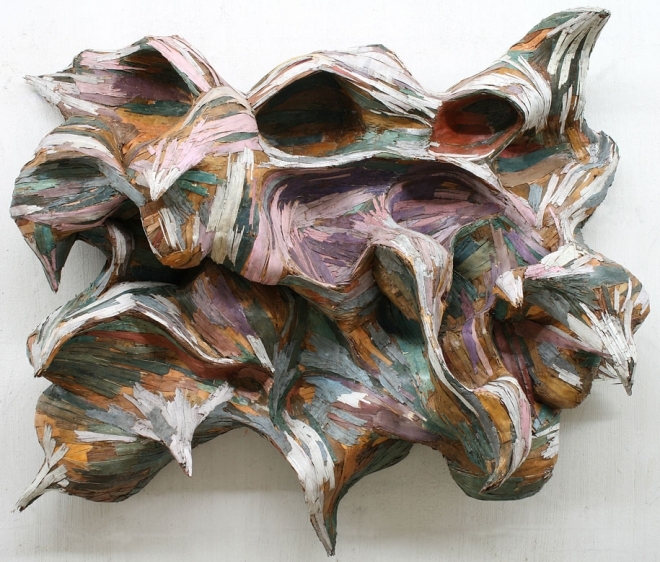 One often gets confused if he is a painter or a sculptor due to his unique style of art. 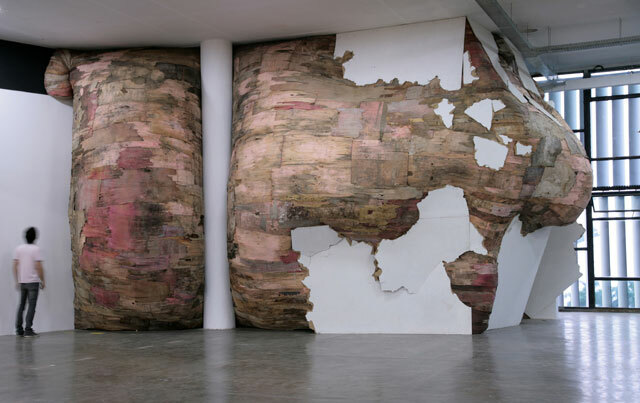 Oliveira uses tapumes, which in Portugese can mean fencing, boarding, or walled in area - as the title for most of his massive establishments. 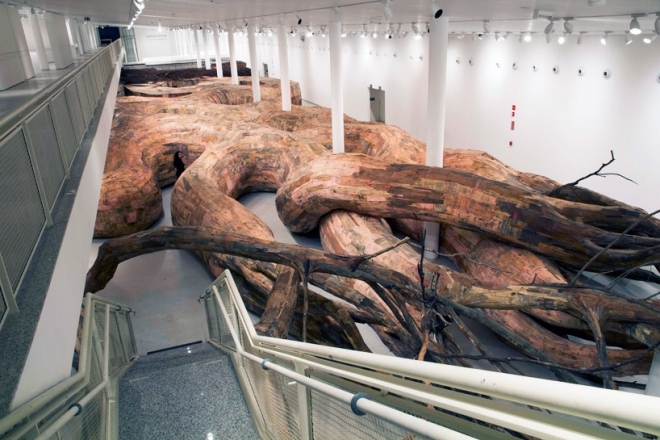 Henrique Oliveira received a BFA in painting in 2004 and a masters in visual poetics in 2007 from the University of Sao Paulo, Brazil. 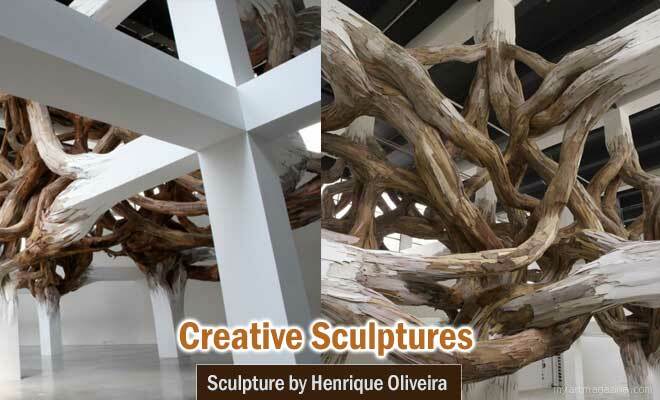 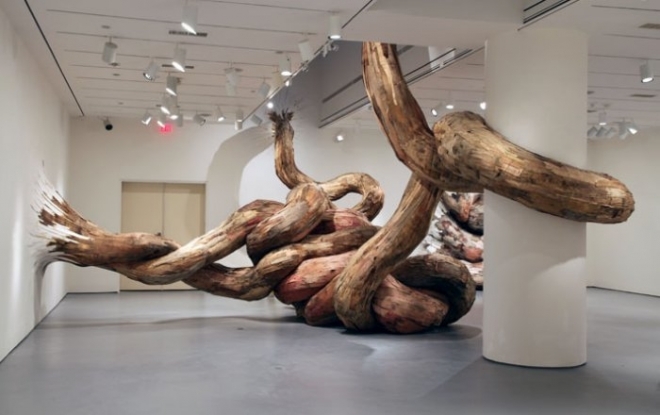 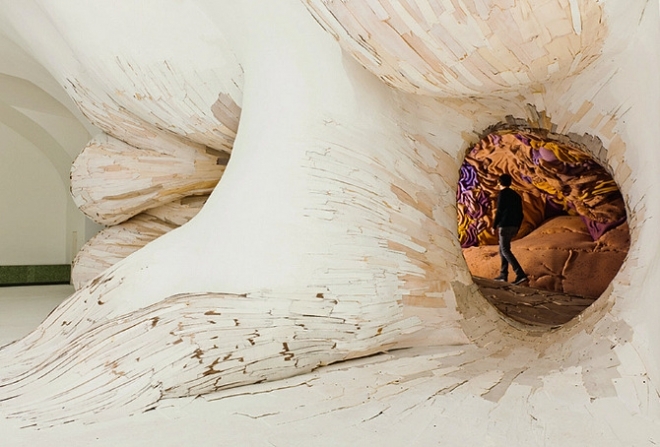 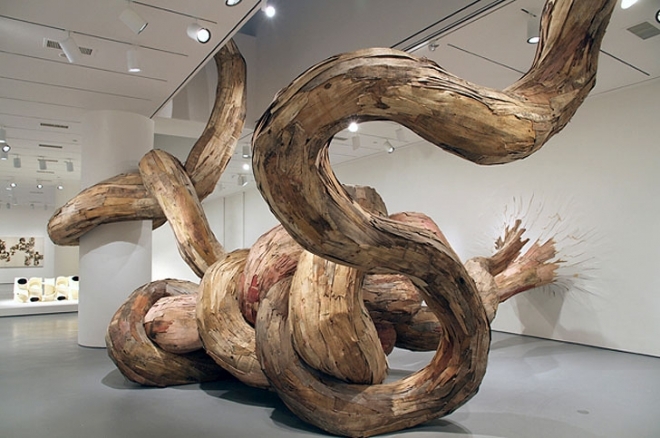 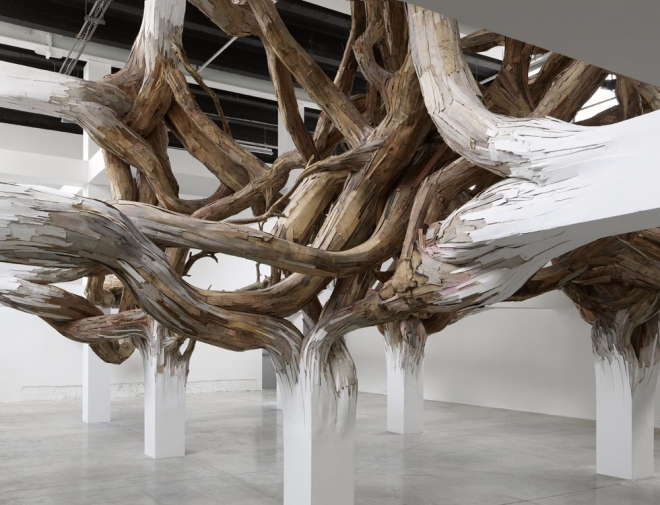 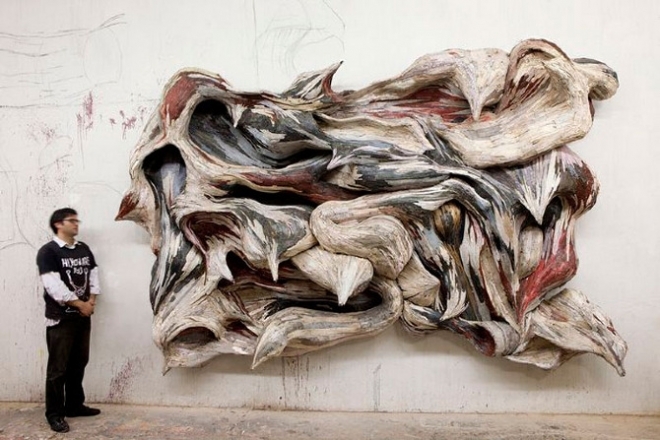 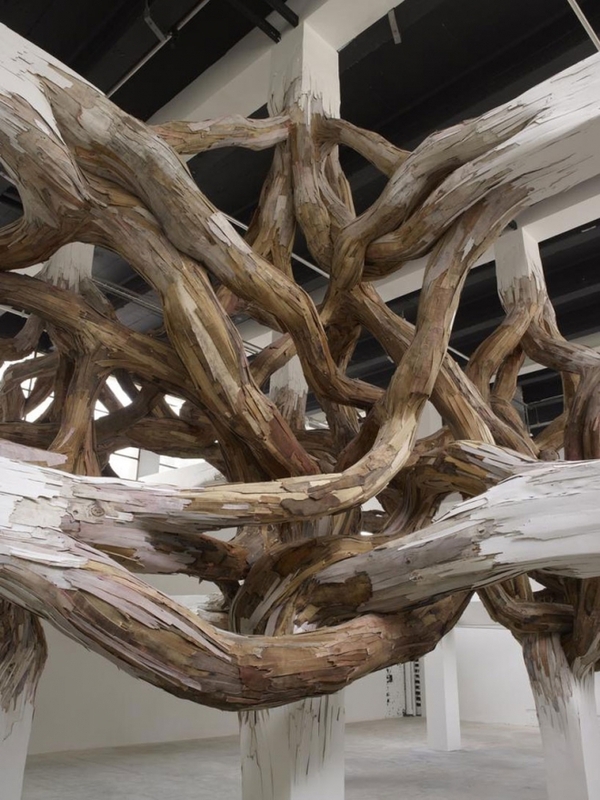 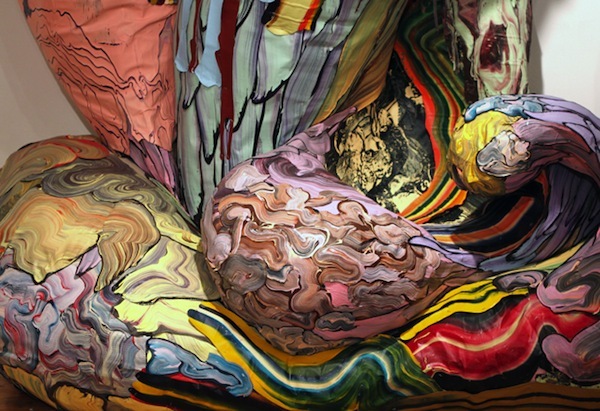 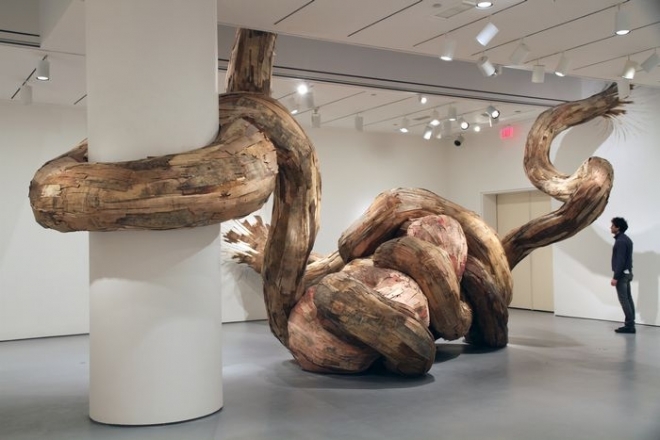 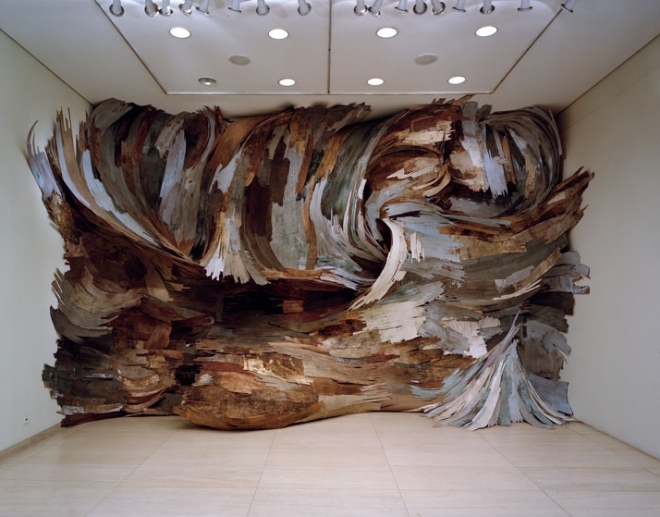 In this post we have 20 Mind blowing Sculptures by Henrique Oliveira for your inspiration. 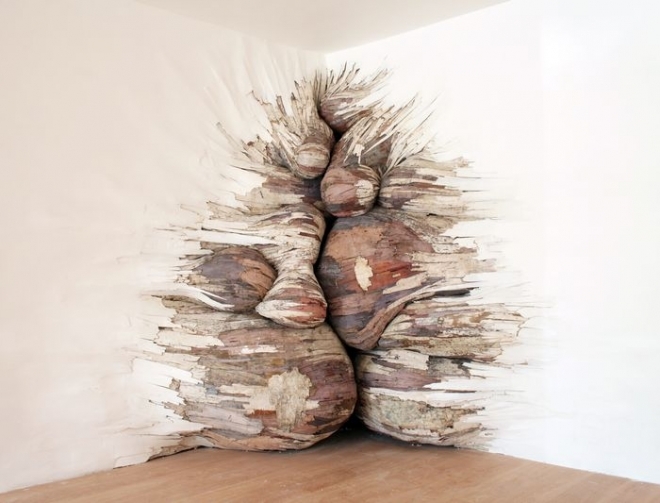 Most of his sculptures seem to have forms bursting out of the walls. 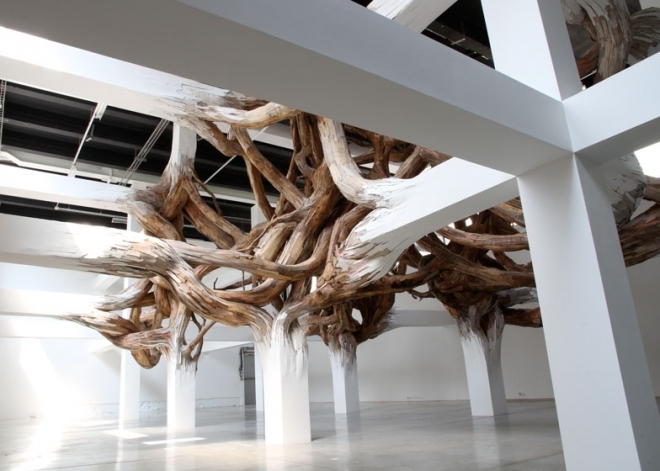 Twisted branches surrounding the pillars of the gallery and bursting out of the celing, it's looks as if it's a set for an alien movie.